A great gift of being an arts writer is that I get the chance to reflect at the learning and teaching from the books I read and the concepts I grapple with in my everyday life, and I can look at how artists articulate interpret them. I am a big fan of the work of Dr. Clarissa Pinkola Estes, who in her new tome dedicated to the wise woman archetype titled: The Dangerous Old Woman, she tells how senior daring women – considered dangerous for centuries – manifest themselves as creative souls and artists. We have had many examples of their artistic power in the West; from Georgia O’Keeffe to Louise Bourgeois, these artists are today points of reference for the younger generation. But what about the East? 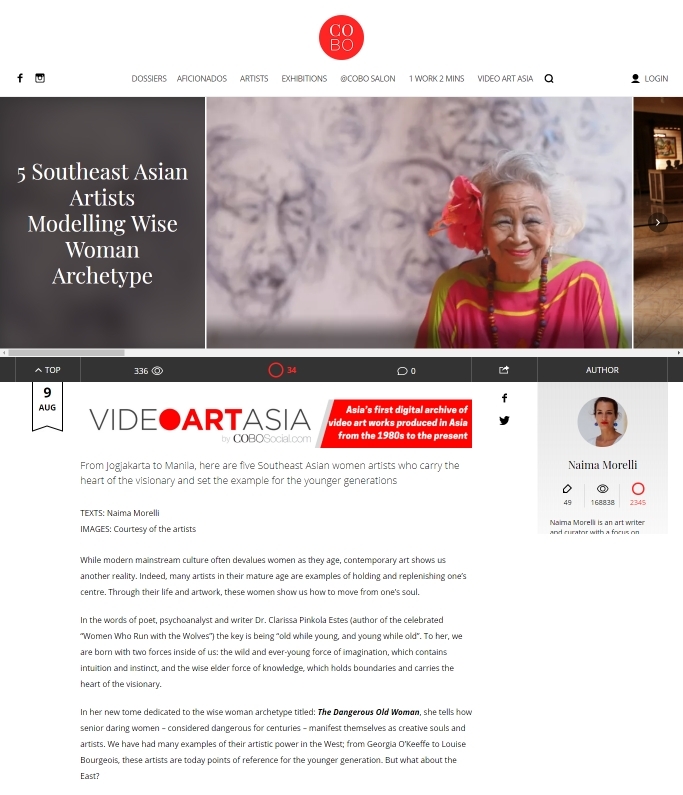 In my new piece for CoBo I presented five amazing women artists hailing from Asia, who connect us with universal wisdom and who were able to reach a unique power of expression.